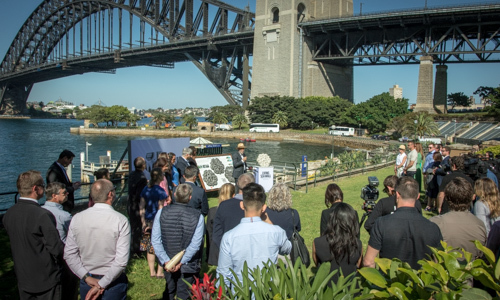 A global response to the impact of increasing urbanisation on coastlines has been brought to Sydney with the unveiling of one of the world’s largest Living Seawalls at Milsons Point. Over the last 200 years more than half of Sydney’s vibrant marine habitats along the harbour foreshore have been replaced with man-made seawalls. These seawalls are typically flat and featureless and support lower biodiversity compared to the natural habitats they replaced. To begin restoring the balance Swedish car maker Volvo has partnered with the Sydney Institute of Marine Science, Reef Design Lab and North Sydney Council to create one of the world’s largest Living Seawalls at Milsons Point. The Living Seawall consists of fifty 3D-printed tiles that have been designed to mimic the root structure of mangrove trees. They have been retrofitted to the existing seawall to help improve marine biodiversity and water quality. Each tile features tiny nooks and crannies that give marine life a place to live and hide, just as they would in a natural mangrove ecosystem. This attracts filter-feeding organisms that absorb and filter out pollutants, such as particulate matter and heavy metals. Within a week of installation oysters, molluscs, and filter-feeding organisms will begin colonising the Living Seawall, helping to combat the effects of urbanisation and pollution in our waterways. “We’ve lost 50 percent of the world’s mangrove forests, and in their place, we’ve built things like seawalls, which proliferate around Sydney Harbour. Tearing down the seawalls is not viable,” said Nick Connor, Managing Director of Volvo Car Australia. 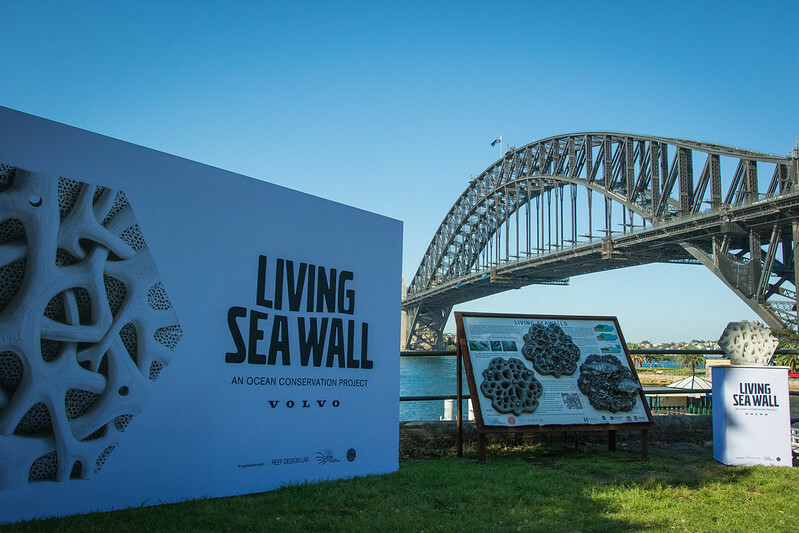 To install the Living Seawall, Volvo partnered with North Sydney Council, the Sydney Institute of Marine Science, and Reef Design Lab, a Melbourne-based designer of marine habitat infrastructure. Alex Goad, Industrial Designer at Reef Design Lab, said: “Volvo’s Living Seawall shows what can be done when we’re designing and building coastal structures around the world. It’s about making these structures as beneficial to the environment as possible. 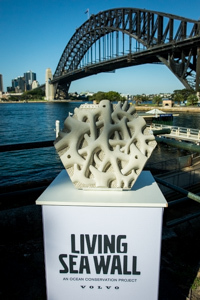 Associate Professor Melanie Bishop from the Sydney Institute of Marine Science and Macquarie University said: “We are delighted to partner with Volvo, Reef Design Lab, and North Sydney Council on the Living Seawall project, which draws upon several decades of scientific research on greening Sydney Harbour.